Discounts available on many of our services! If you have a specific problem that you need some help with, or just prefer one-on-one sessions, we can help! 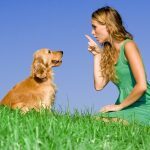 We will start with an evaluation, and go right into some work in the first session; then we will come up with a unique plan that suits you and your pup. We can meet you at your house, a public park, or anywhere you want to work! More than just a physical outing; these walks are about an hour and incorporate obedience, manners and etiquette. If there are skills you would like us to focus on; just ask! Both mind and body will get a workout using gentle guidance and positive, encouraging methods. Great for those busy schedules to help keep your training on track! We will leave you a detailed note of what we worked on and how it went. Available to all clients that have completed at least one private lesson. Worried about your pup being home alone all day? We would be happy to look in on them. 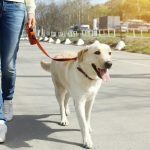 These short breaks (20-30 min) allow enough time for play, short walks and some attention – great for potty breaks, stretching the legs and breaking up the day. Available to all current clients. We are now offering a board and train option to select clients who are struggling with specific issues. 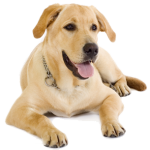 We will work with you to create a custom program; we will look at your specific goals and determine how much time we need, and your pup comes to live with us for a while. They enjoy daily hikes on the property and plenty of attention while they work on their manners and listening skills. Following their stay, you get a complete write-up of their time with us, and written instructions to follow to keep up the work we’ve done. This is a casual, non-judgemental group that meets in different locations to practice our skills in the real world. A location and time will be posted on the calendar and on facebook, along with expectations and any prerequisites. You can expect a lot of fun and silliness, as well as professional guidance and suggestions to overcome any challenges that arise. You must be enrolled in a group class, or have had at least one private lesson before attending. 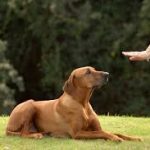 Day Training – Schedule a day at school for you pup! We will alternate learning and play, and work through any issues you may be having. 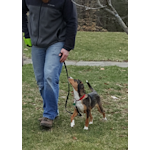 Great way to jump start your training, or stay on track when you have a super busy week!With several lessons and working walks throughout the day; your pup is sure to come home happy and tired; having exercised both his body and his brain! Day Care – Only available to existing clients who have done day training or board and train programs. 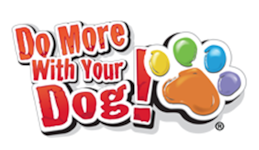 If your pup needs a place to hang out for the day; filled with fun and games – let them come here! With plenty of play time, hikes, and one on one attention, your pup is sure to have a blast! We are now offering professional grooming services! With a custom built wash station and grooming table, and the expert skills of pro groomer Jaime we can accommodate your grooming requests! We use all natural Earthbath products; and hand held dryers. No drying boxes here! and being under the supervision of a trainer means we can work through issues to make sure grooming time isn’t traumatic! Scheduling for a full groom will be limited; so contact us early to get a quote and schedule a time! Whether you’ve taken one of our prep classes, or have trained on your own; if you feel your’e ready we are happy to conduct your test. We will also be offering testing at all of our graduations, and at any event we participate in. Contact us to set up a time, or reserve your space at an event. We are thrilled to be able to offer a Performance Team in Powhatan! If you already know a few tricks and like to show off, contact us! 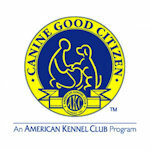 If you’d like to learn, we will be offering a trick dog class twice a week. Once we have a few members ready, we will do performances at nursing homes, children’s events; anywhere we can brighten someones day with a little doggy silliness! Looking for your new best friend? Please consider opening your heart and home to one of these pups! 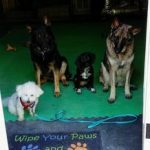 HAPPE (Homeless Animal Protection, Placement & Education) is a local, all-volunteer, non-profit dog rescue group started in 2002. Click on their logo to be directed directly to their page! 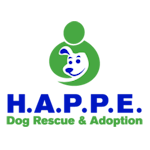 We support HAPPE and their wonderful effort with these pups. If you adopt one of these great dogs, you’ll get some great perks from us too – to ensure you start off on the right paw! You’ll also get special discounts and invites to special events!